I've mentioned having a Fullerton Cardigan on the needles, but I haven't actually shared it here yet. 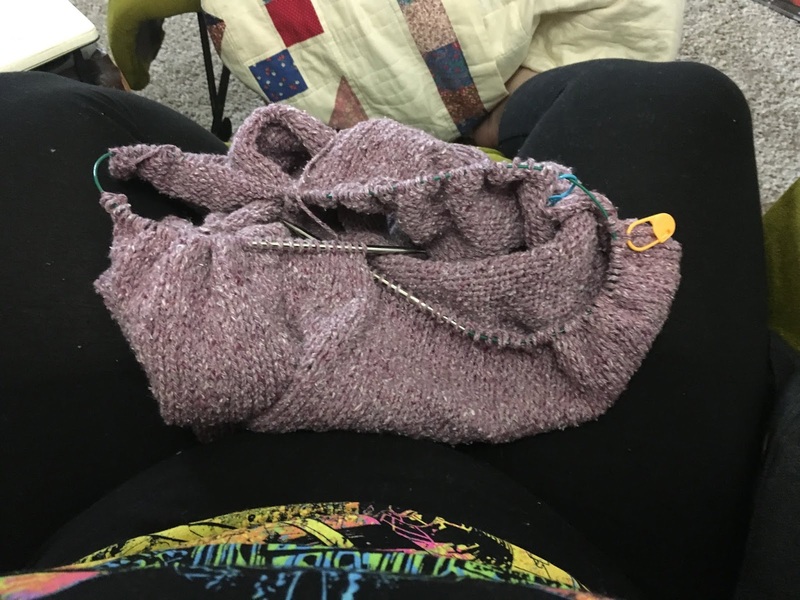 This photo is from a couple of days ago, but it so perfectly encapsulates my happy place: in my armchair, legs crossed, with my knitting in my lap. I started Fullerton right before NCFF last month so I'd have something mindless to work on while sitting at the information desk. I have the body finished now, and the button band is half picked up. I'm hoping to get that finished and get through a good chunk of the first sleeve over the weekend so I can start wearing this and be able to focus my knitting time on my KAL projects. Does anybody have fun plans this weekend? I'm bringing the dogs up to the city for their grooming and meeting my friend Matt for brunch tomorrow.